Desperate to get away this Easter?... Thredbo has the answer. Headlining this Easter is the Thredbo $10,000 Golden Easter Egg Hunt by Lindt. Six Lindt Golden Bunnies will be hidden, with a jackpot Bunny worth $5,000 and five other Bunnies worth $1,000 each. With six opportunities to take home the cash this Easter, it could be eggstra $pecial. 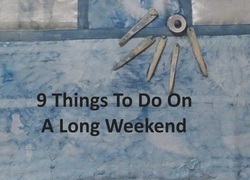 Loads more family fun activities across the long weekend too... No snow required.